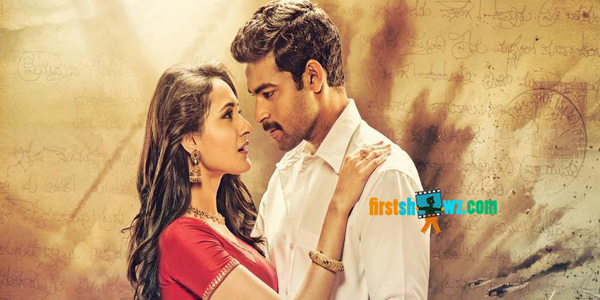 ‘Kanche’, the World War 2 period drama directed by Krish, with Varun Tej and Pragya Jaiswal in lead roles, has won the National Award for Best Telugu Film in the Regional Films category. The awards were announced today. ‘Kanche’ is set against the backdrop of World War 2, with Varun Tej playing the role of an Indian solider in the British Army. The battle sequences in the movie were shot in Georgia, with real World War 2 weapons, uniforms and equipment. These scenes stood out as a major highlight in this movie. The entire team is delighted with the honour bestowed upon the film. “We made ‘Kanche’ with our sweat and blood. I am really happy for the team and this honour is a vindication of our efforts. I am about to start a prestigious new project very soon and this announcement has given us all a major boost. I thank everyone who made this possible”, said Krish. “We believed in our film from Day 1 and when movie lovers and critics applauded our film and called it path breaking, we were very happy. But now this National Award has only made us happier. We thank Varun Tej, Pragya, Sirivennela Seetharama Sastry garu, dialogue writer Sai Madhav Burra, music director Chirantan Bhatt, our cameraman Baba and each and every technician who worked for us”, said producers Rajiv Reddy and Sai Babu Jagarlamudi. Jagarlamudi Sai Babu and Rajiv Reddy have produced the film on First Frame Entertainments banner.